Not one of Ron Howard’s finest hours, How the Grinch Stole Christmas nevertheless cleaned up at the box office in late 2000, becoming (and remaining) the most successful Christmas film after Home Alone. Jim Carrey (remember him?) attracted raves for his performance as The Grinch, but Dr Seuss’s story had to be considerably fleshed-out to make it into feature length (this was actually the first of his stories to be turned into a full-length film) and it all felt a bit disjointed. Howard’s composer of choice at the time was James Horner and this was their fifth film together, with just two more to come. They’re actually all very different scores but The Grinch is the most different of all. While Horner had scored numerous films aimed at kids earlier in his career, following his Titanic success he tended to shy away from them and focus instead on more serious dramas so it’s interesting to see (hear) him let his hair down the way he did here, with a madcap score that flits about all over the place before settling down into more dramatic territory in its later stages. The released soundtrack album on Interscope was a disaster, mixing a generous 40-minute helping of Horner’s score (and all the best bits are on it) with a few songs – nothing much wrong with that, until you come to the part about the dialogue excerpts being plastered over Horner’s music like graffiti. But a (presumably euphemistically labelled) “promotional release” surfaced very shortly afterwards featuring 70 minutes of the composer’s score plus his original song. The opening sequence has a bit of everything – a magical, Casper-like opening quickly leading into the soaring main theme and, erm, fart noises. It goes all over the place, Horner at his most mickey-mousey (a bit like a more puerile version of Jumanji perhaps) and that continues through much of the early parts of the score. There’s some full-on caper-style action music (“Mailroom Trouble”) and various big band jazz-infused action recalling scores like Honey I Shrunk the Kids, but it never feels as cohesive. There are jingly Christmas bells and sparkly strings at times to make sure you don’t forget we’re at Christmas but I don’t really feel the magic until the wonderful “The Story of the Grinch” comes along with its delicate flute solo and wondrous horns. “Memories of a Green Childhood” is lovelier still, still with comic interludes (I wish they weren’t there) but at its heart is a really beautiful, tender piece. At the other end of the scale, “Cheermeister Games” might be the silliest thing the composer ever wrote, daft synths (including the farts) and a Vangelis quote. It is for the film’s final act that Horner really comes into his own, with a top-notch piece of action (“Burning the Tree / It’s Gonna Blow”) including that wonderful action phrase from Commando of all things (it is heard for a few seconds and then vanishes again), followed by a twenty-minute sequence of cues (all on the original album) of very high quality. “Stealing Christmas” (split into two tracks on the promo) is terrific, with some really muscular action music (with the score’s comically sinister main action motif clearly recalling The Rocketeer) mixed with some soaring adventure material (and more than a bit of Mickey Mousing) and little bursts of the lovely main theme. “The Big Heist” is perhaps the best cue here, the comic action reaching its peak and being more coherent in this guise than it is elsewhere, the silliness being done here entirely musically. After “Does Cindy Lou Really Ruin Christmas?” opens with some more frantic action material, it turns into a lovely set of variations on the main theme, this time including a female choir. “A Change of Heart” is a classic piece of Horner emotional drama with the first appearance of the danger motif, in perhaps the grandest arrangement it ever received and more of that wonderful main theme. Yes, it’s sentimental, but who cares – it’s Christmas. “The Sleigh of Presents” is a lengthy action cue, probably the score’s grandest, the main theme now turned into a boisterous horn motif and leading up to a rousing festive conclusion. The score then ends in “He Carves the Roast Beast”, which moves from sweet sentiment into mild silliness and finally to lovely Christmas cheer. The main theme is also turned into a song, “Where Are You Christmas?”, which Horner wrote with Will Jennings (you can tell it’s him as soon as you hear “My world is changing / I’m rearranging”) and Mariah Carey and she originally sang it, but some legal dispute meant her recording has never been released (or heard in the film) and Faith Hill was drafted in as a replacement. It’s a classic Horner ballad, really lovely, and Hill belts it out for all its worth. The Grinch is a very slick score but as an album it isn’t entirely successful, with a bit too much manic stuff particularly in its first half where (very unusually for Horner) there is a lack of coherence. The best option is probably to recreate the original album from tracks the promo, to lose the dialogue. 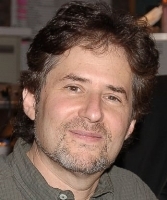 True, there are numerous references to earlier scores even by James Horner standards and for long periods it’s not exactly overflowing with Christmas spirit but when it does come it’s lovely and the main theme is just as sweet as anything, so it’s certainly a seasonal essential for fans of the composer. She also shares songwriting credit – given how she and Horner share a degree in emotion, I can see it.